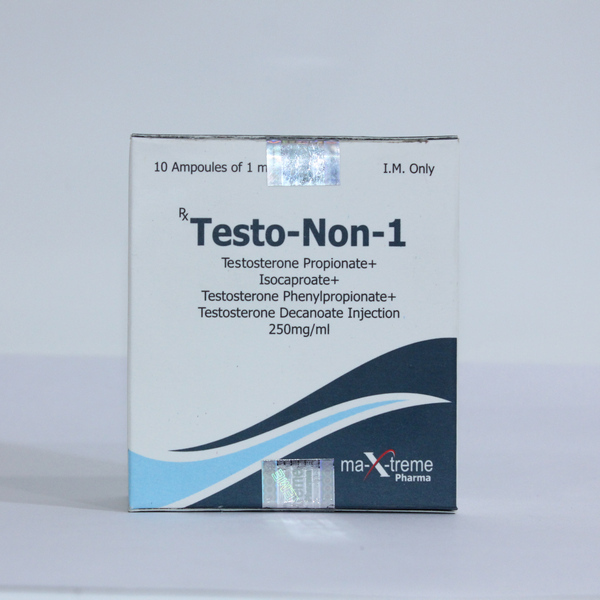 Testo-Non-1 is the most popular anabolic in the modern world, since it includes four testosterone esters. This includes testosterone enanthate, and propionate, and even cypionate. This “rattling” mixture is highly appreciated by athletes, as Sustanon begins to act almost immediately after ingestion. Thanks to this drug the result remains quite a long time (several weeks after the end of the solo course of admission). 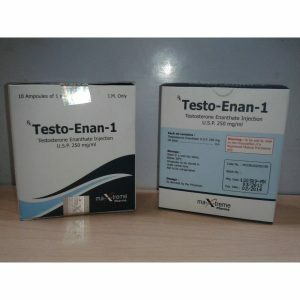 Anabolic steroid Testo-Non-1 is great for building muscle mass, as it has a strong androgenic and anabolic effect. The effect can be felt the very next day after the start of the drug. Thanks to Sustanon, the body does not accumulate excess water, so many athletes respond to this steroid only on the positive side, and also note the surge of energy and rapid muscle growth. What are the effects of Testo-Non-1? Testo-Non-1, like any other testosterone drug, exhibits an extremely flexible action, allowing it to “sharpen” it for almost any purpose. This can be safely stated by looking at the effects that they have: Intensive growth of muscle mass. The drug perfectly copes with this task, albeit not as it is done with higher anabolic and androgenic activity. On the other hand, small increments guarantee the “quality” of the mass and a small rollback after the completion of the course. Increased strength. This feature makes Sustanon 250 a priority for representatives of power sports such as weightlifting and powerlifting. Due to the small influence on the weight of the athlete’s body, the drug will appeal to those for whom it is important to maintain a stable weight class. Burning fat. This feature is manifested by the effect of leptin, ghrelin and other enzymes responsible for the metabolism of fats. This also makes Sustanon 250 a good (albeit not the best) choice during the “drying” period. Moderate water retention, which protects muscles, ligaments and joints from injuries. However, do not forget that prolonged use of testosterone can reduce collagen levels in the body, thereby making the body more vulnerable to damage. In addition, the rapid increase in strengths caused by testosterone can also lead to trauma, due to the lack of “readiness” of ligaments and joints to such loads. Increased appetite, associated with both increased energy costs, due to elevated levels of androgens, and by influencing the enzymes responsible for it. This feature of the drug will be very beneficial during the period of recruitment, since the athlete has the opportunity to consume more substantial portions of food, and consequently – to deliver to his body more nutrients. Gynecomastia, swelling, fat deposition (by female type), inhibition of production of own testosterone = these pobochki can be prevented by taking antiestrogens (NOLVADEX or CLOMID). .At the same other serious side effect as ATROPHYA EGG is possible. 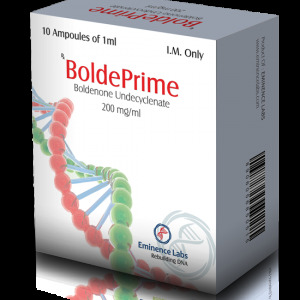 This pokachka for those who do a long course (longer than 8 weeks), if you do not do the course of Susan for longer than 8 weeks and take anti-estrogens (nolvadex or clomid), then this side effect can be prevented. But if the course is more than 8 weeks (which is not recommended), then you need to take GONADOTROPIN. Also because Testosterone in the body is converted into DIGIDROTESTOSTONE (and it causes the following side effects): ACNE, HERBAL, PROSTATE HYPERTROPHY AND OTHER ANDROGENIC CROPS. Testo-Non-1 also increases the level of harmful cholesterol in the blood.